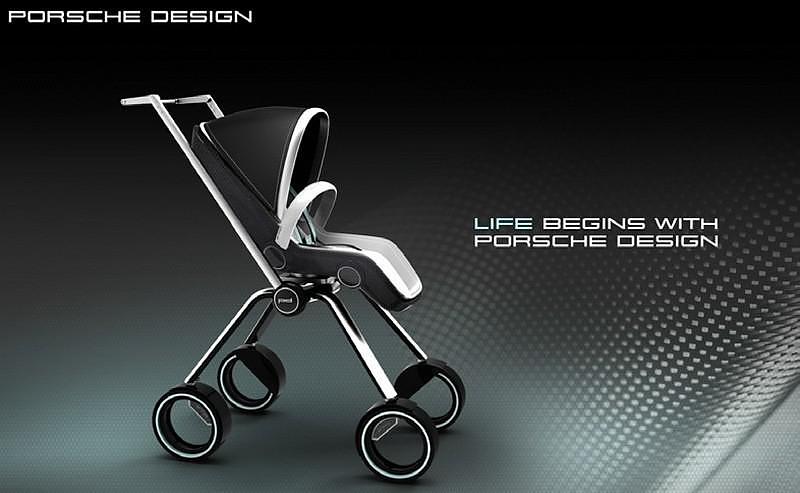 HomeBlogVariousPorsche Design P’4911 Baby Stroller by Dawid Dawod. 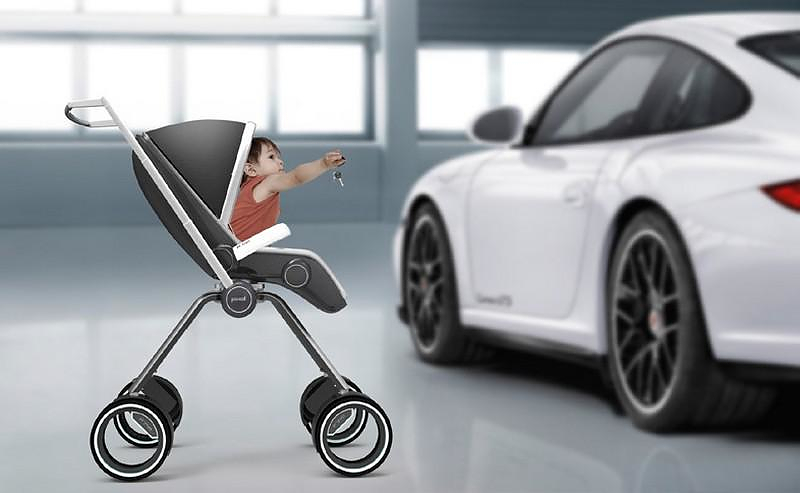 The Porsche Design P’4911 Baby Stroller by Swedish designer Dawid Dawod not only looks right, it also folds compact enough to fit into the trunk of any Porsche. 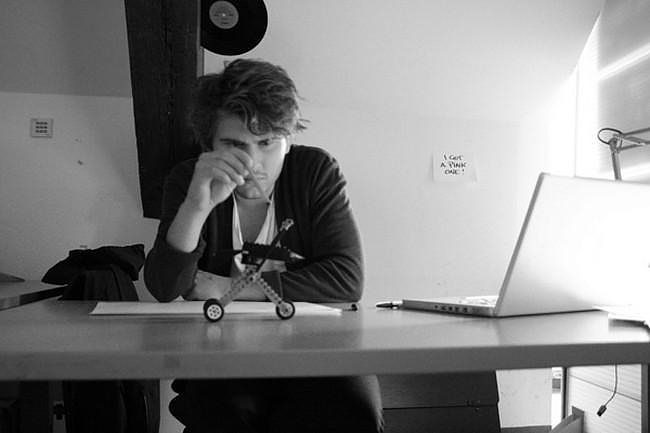 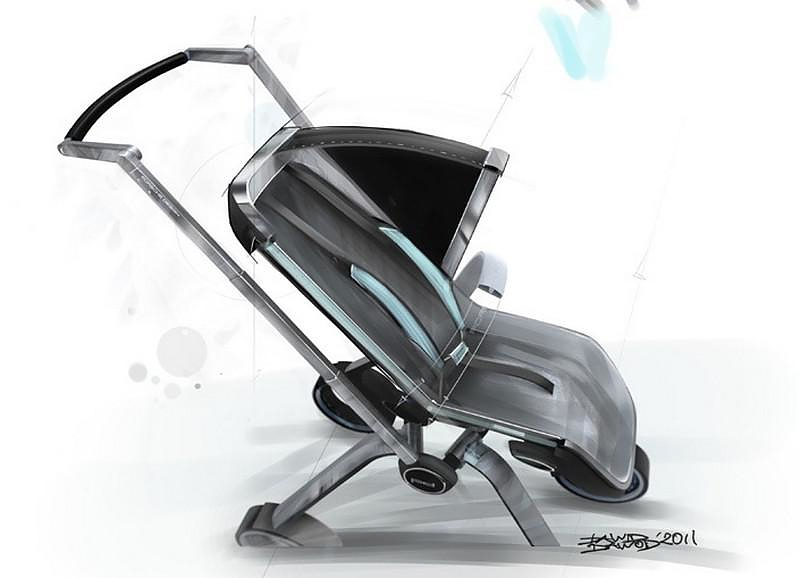 This unique baby stroller was created by Dawid Dawod in cooperation with Porsche Design Studio in Zell am Zee, Austria during his ex­change semester at FH-Joanneum in Graz, Austria. 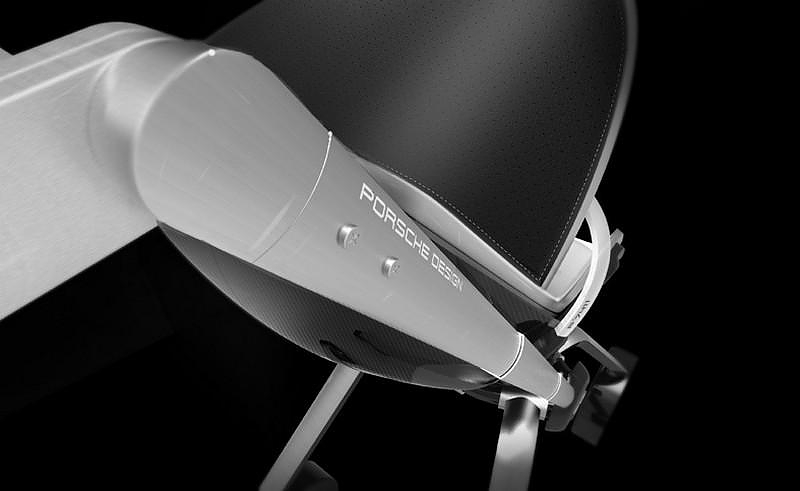 The project was not only a study in high-end materi­als and luxury products, it also required deep in­sight in what Porsche Design stands for as a brand and what characteristics, ma­terials, shapes and philosophies are rep­resenting the brand. 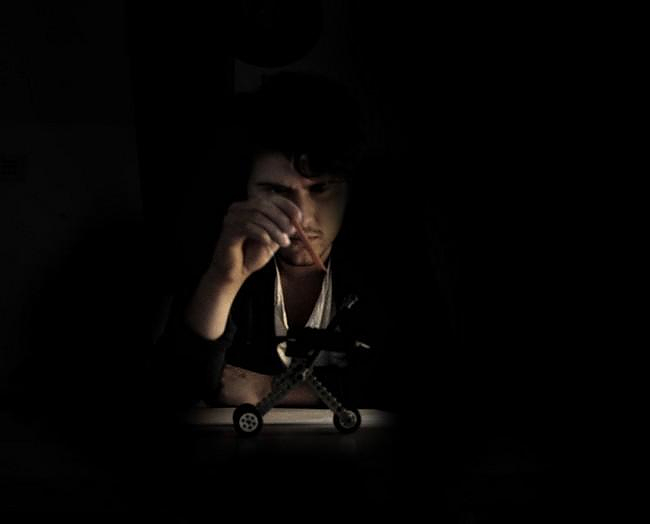 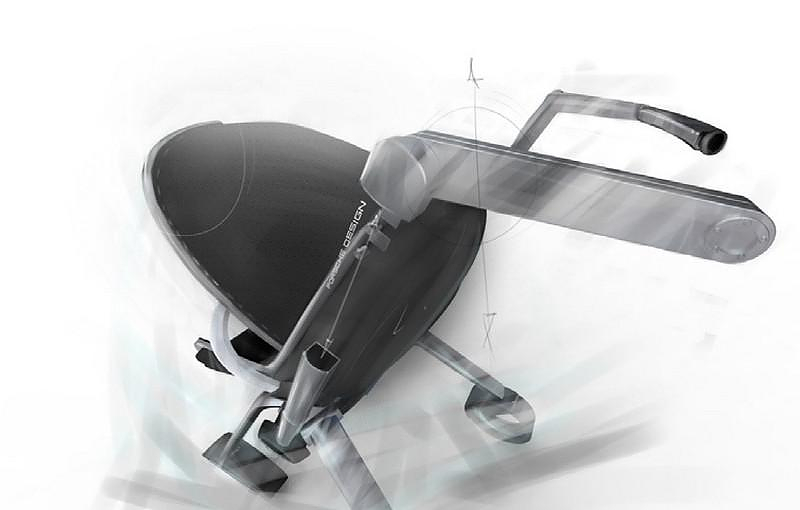 Furthermore, lots of effort was put into creating kinematic and ergonomic solu­tions for storing and adjusting the stroll­er.Through research,the designer diagnsed that when parents go with their children to for instance, a park or on a pick nick they often want to bring toys, food, clothes etc. 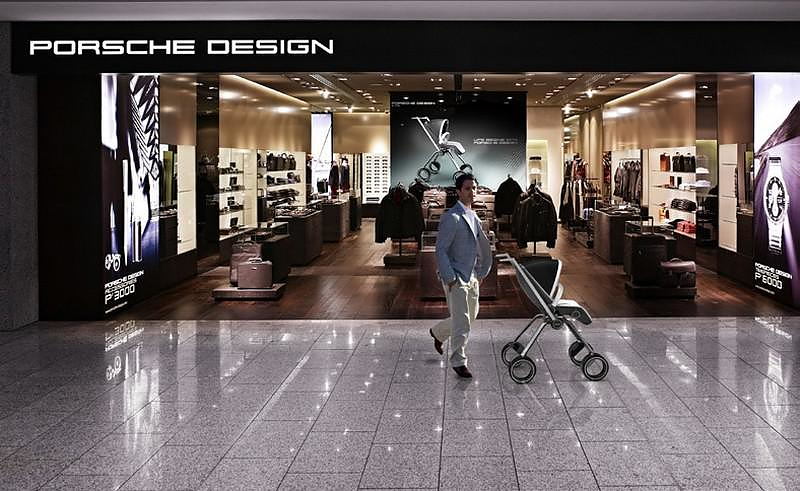 Therefore,the Porsche Design P’4911 Baby Stroller is equipped with a smart storage solution. 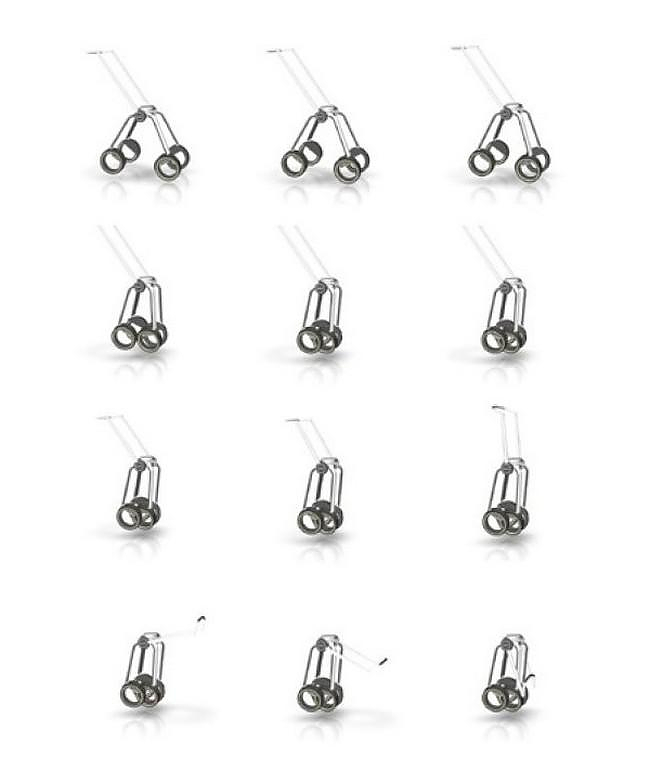 The storage space is a frame with two nets, it has a zipper attached to the twin nets and the user can fill the space between them with the goods that he/she wants to carry. 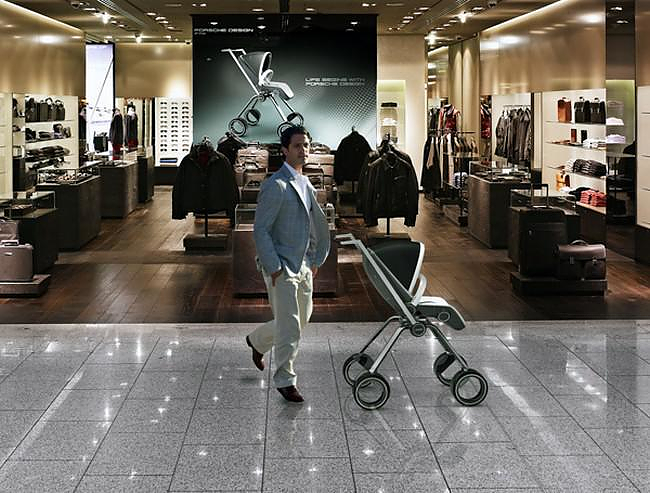 When the stroller is folded up, the parent can detach the storage pocket and use it a carry bag. 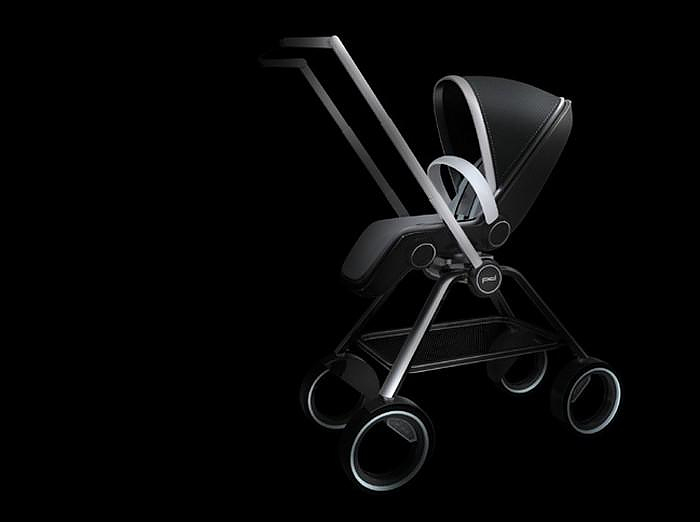 Yet perhaps the most impressive feature of Porsche Design 4’911 baby strolled is that it is highly collapsible. 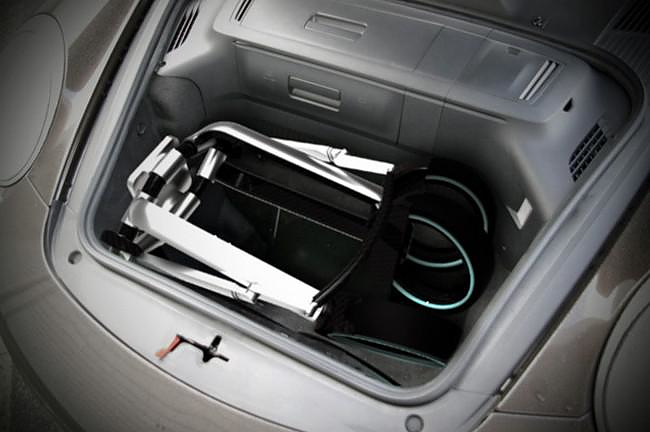 It becomes so small that it easily fits into any luggage compartment, even those small storage space found on Porsche sports cars, while the seat is used into the car as a baby car seat. 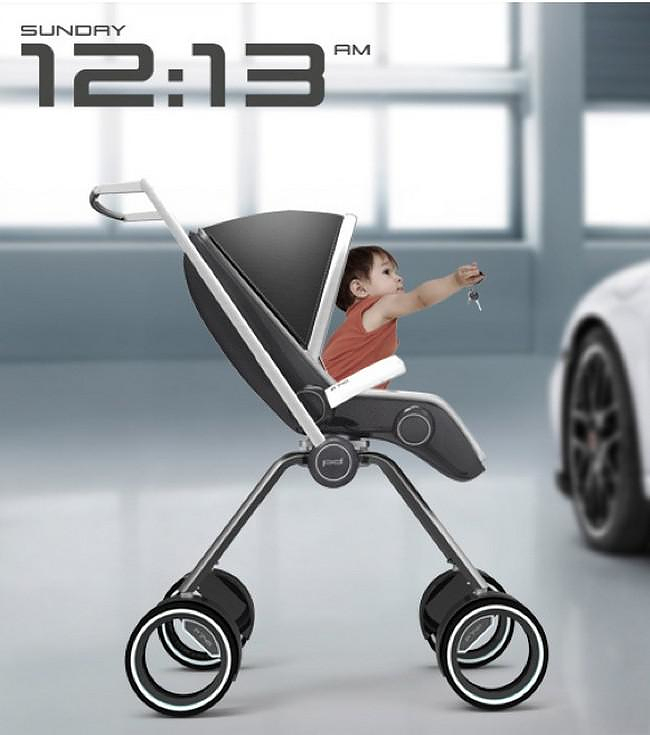 It is rather unlikely that this brilliant baby stroller will make it into production, yet the Porsche Design P’4911 Baby Stroller is still great design study. 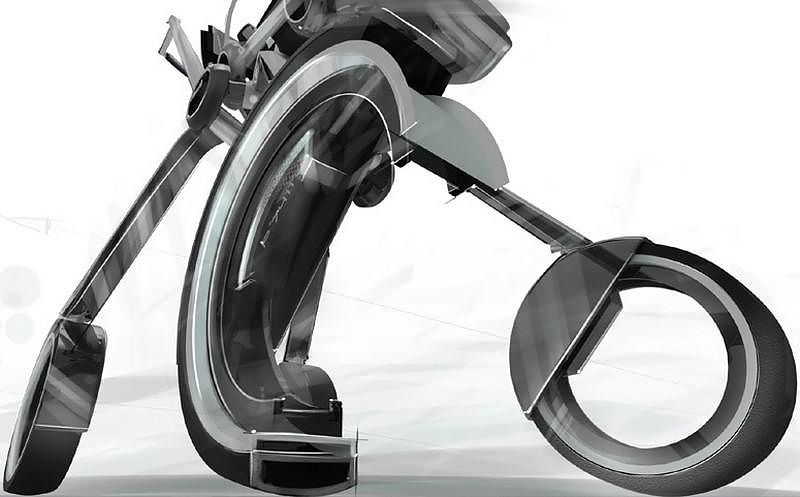 Hi, it possible to by the stroller? 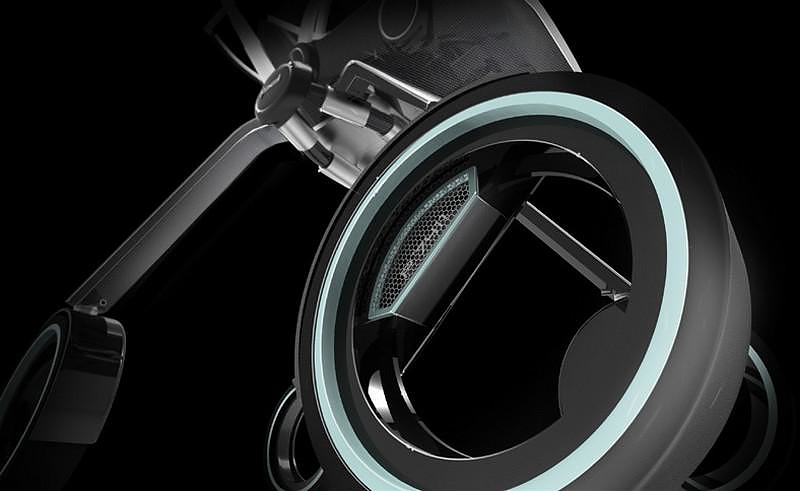 And where i can buy this stroller?